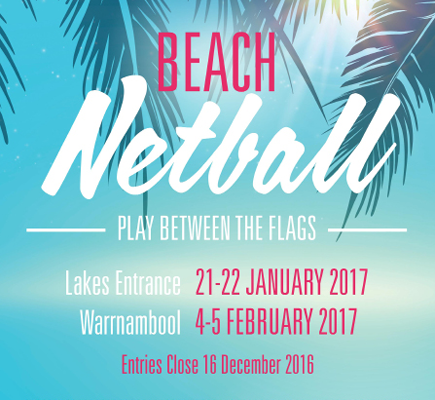 Netball Victoria will be holding the Beach Netball Carnival in Lake Entrance on Saturday 21 and Sunday 22 January. Beach Netball is an extension to the traditional game, with the same rules and regulations, the exception being that participants aren’t required to wear shoes and the game is played on a half-court marked out in the sand. For more information contact rachelle.shmerling@netballvic.com.au or 9321 2242.